To answer the first question, anywhere. A slogan can come from solid business rationale or complete randomness. Take "Just Do It." for example, it’s a slogan that's provided athletes the ultimate (and most simple) motivation for almost 30 years. It's creator - Dan Weiden - said it came from notorious serial-killer Gary Gilmore's last words before facing a firing squad: "Let's do it." That's some interesting (and maybe even dark) inspiration, to say the least. 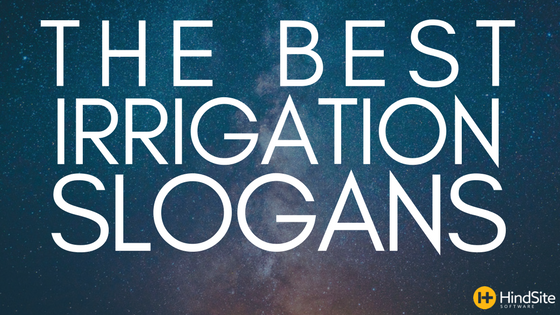 And with that said, here are the best irrigation slogans. via Milwaukee lawn Sprinkler Corp.